Challenging conditions. The extreme conditions at Helheim Glacier in Greenland can be hazardous to researchers — and to their equipment. 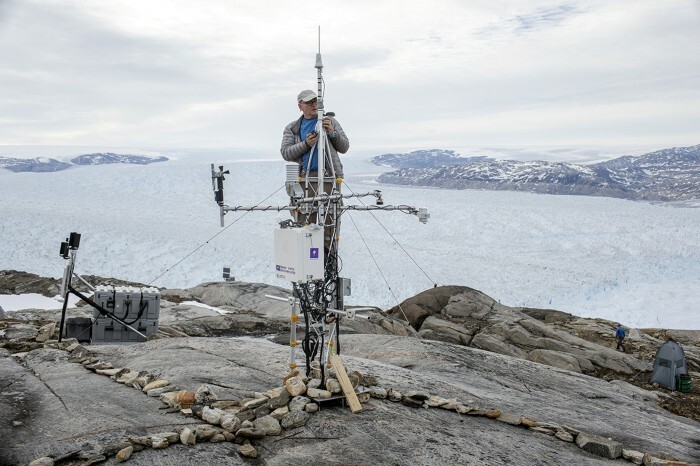 Here, climate scientist David Holland of New York University fixes a broken Global Positioning System module at the research site. Deadly typhoon. 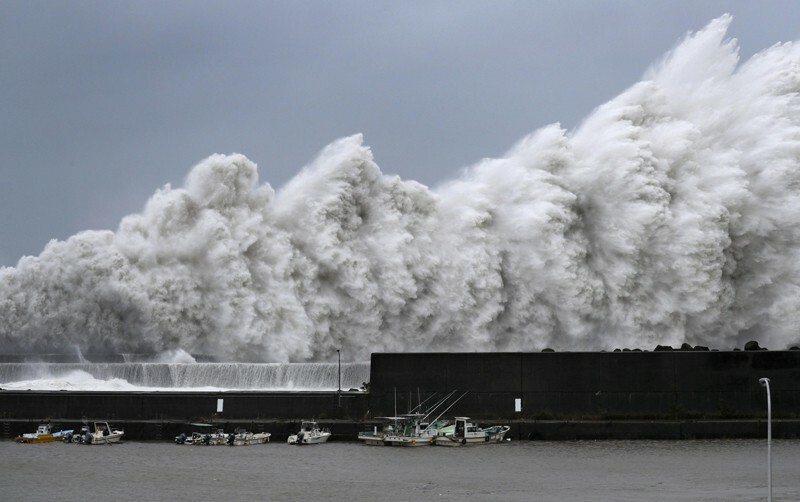 Typhoon Jebi struck western Japan in early September, producing high waves such as those seen here in Aki, a fishing port in Kochi prefecture. The typhoon was the strongest to hit the country in 25 years, and resulted in multiple fatalities. School run. 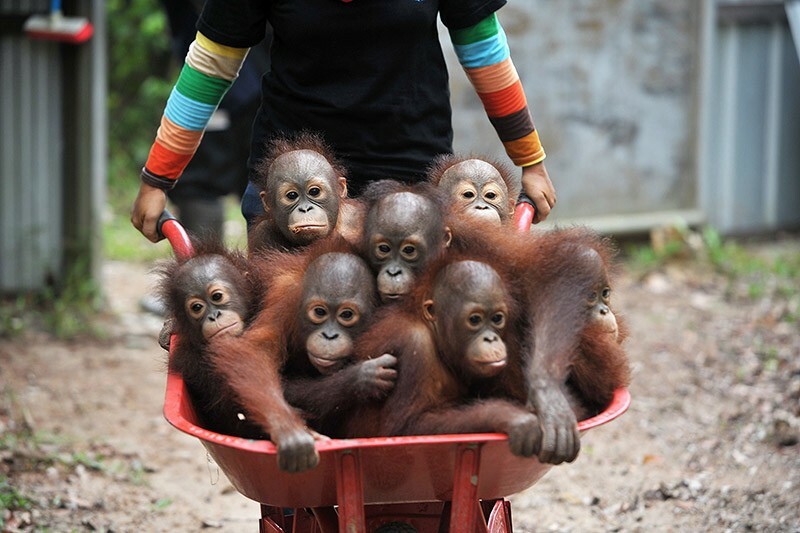 A keeper brings a wheelbarrow full of baby orangutans to ‘forest school’ in Ketapang, Indonesia. International Animal Rescue recovered the orangutans from residents who were keeping them as pets. The animals will be taught to fend for themselves before being released back into their natural habitat. Dusty cent. 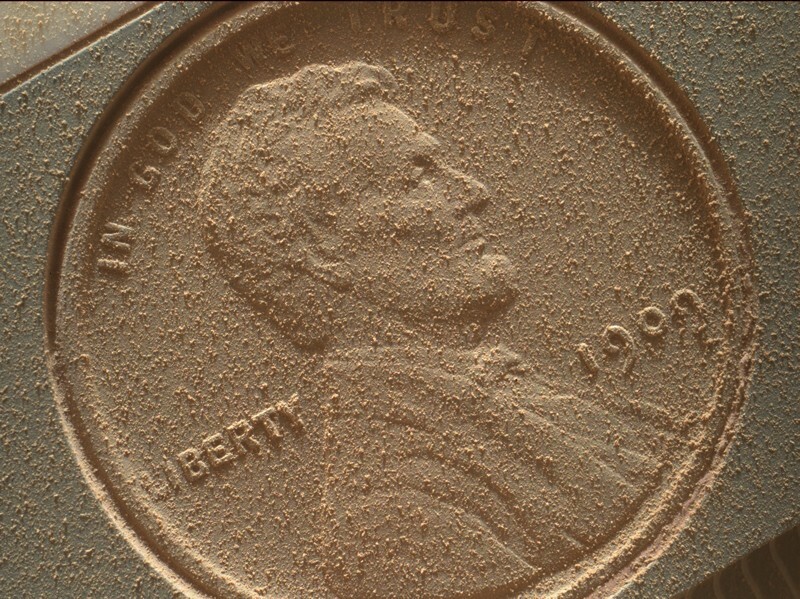 A selfie taken by the Curiosity rover on 4 September shows a US cent coin covered in Martian dust. The coin is used as a target by Curiosity to calibrate the Mars Hand Lens Imager, a camera fastened to the end of the rover’s robotic arm. Ghost birds. When a white-tailed eagle (Haliaeetus albicilla) appeared during breakfast, the gulls at this fish pond suddenly took flight — a moment captured by 22-year-old Polish student Mateusz Piesiak. 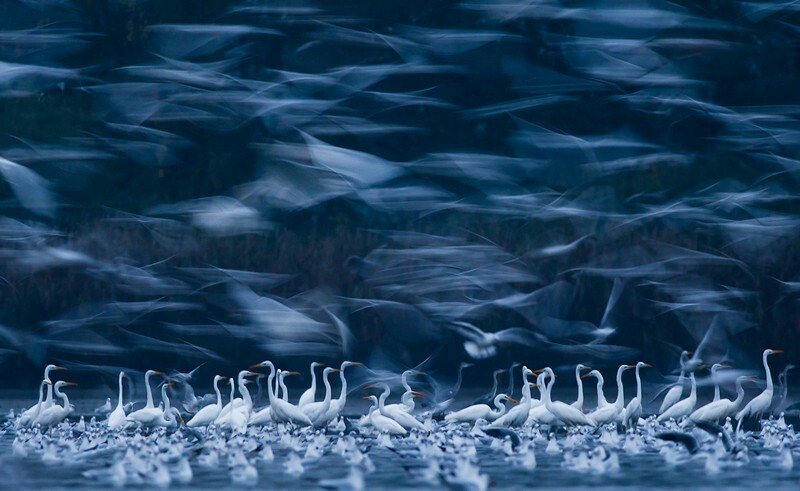 The photo is part of a portfolio that won Piesiak this year’s Fritz Pölking Junior Prize, announced on 10 September and awarded by the Society of German Nature Photographers (GDT) and Tecklenborg publishing house. Rover’s-eye view. A pair of probes exploring the Ryugu asteroid have sent their first images back to Earth. On 21 September, the Japanese mission Hayabusa2 became the first to land moving rovers on an asteroid. The rovers use rotating motors to ‘hop’ around the asteroid. Rover-1B shot 15 frames over the course of 74 minutes to create this film. Watermelon man. 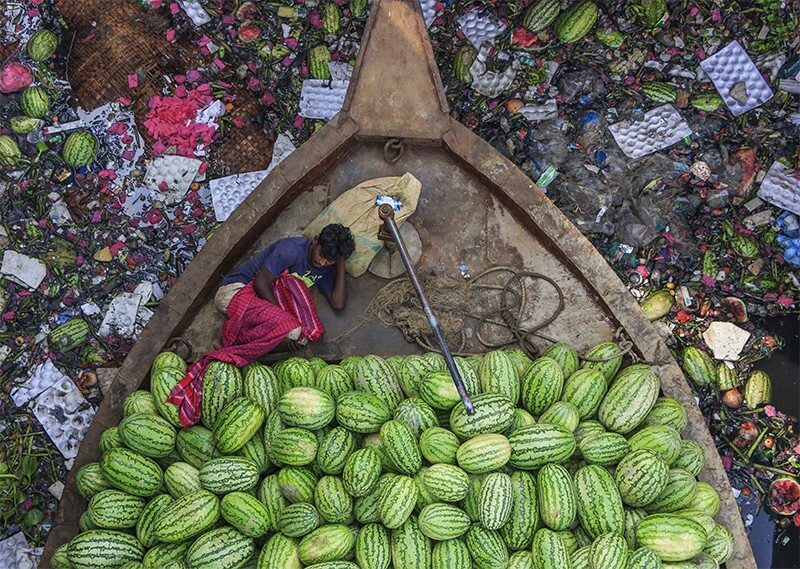 A man rests in a boat loaded with watermelons on the Buriganga River in Dhaka, Bangladesh. The pollution surrounding the boat blocks out almost any view of the water. The photo, taken by Tapan Karmakar, was ‘Highly Commended’ in the 2018 CIWEM Environmental Photographer of the Year competition. Credit: Elizabeth Haynes and Jiaye He., Miguel Bandres et al., Rafael Martin-Ledo; Nikon Small World in Motion 2018. Tiny worlds. The Nikon Small World in Motion Competition provides a window into the microscopic universe. The winning entry, announced on 27 September, shows the developing sensory nervous system of a zebrafish embryo filmed by Elizabeth Haynes and Jiaye He of the University of Wisconsin-Madison, in the United States. Second place went to a video showing a laser propagating through a soap membrane, and a tiny, bristly marine worm claimed third. Starry night. 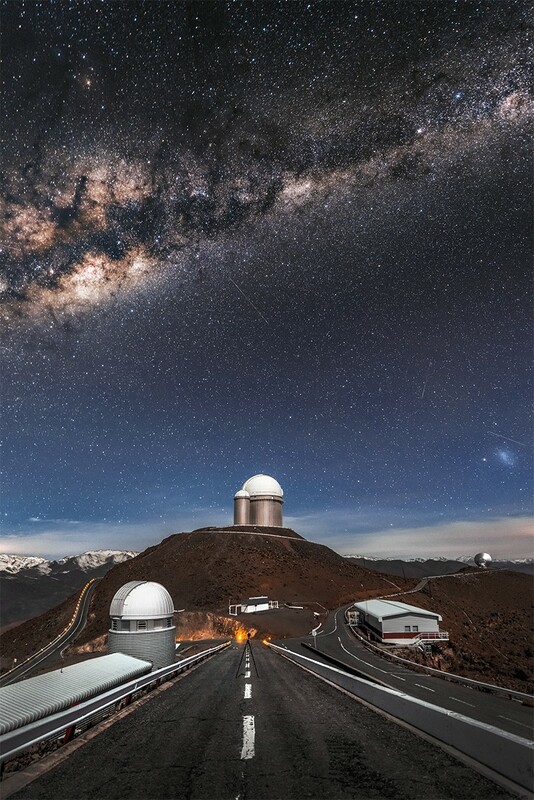 A planet-hunting telescope stands out against the night sky at La Silla Observatory in Chile. The High Accuracy Radial velocity Planet Searcher, or HARPS, searches for planets outside of our Solar System. It is one of several telescopes at the site, located 2,400 metres above sea level and far away from sources of light pollution.